Good vibes only in this cute embroidered fashion tee. Super-soft women’s fashion t-shirt with embroidered I’m Over It slogan and rainbow. 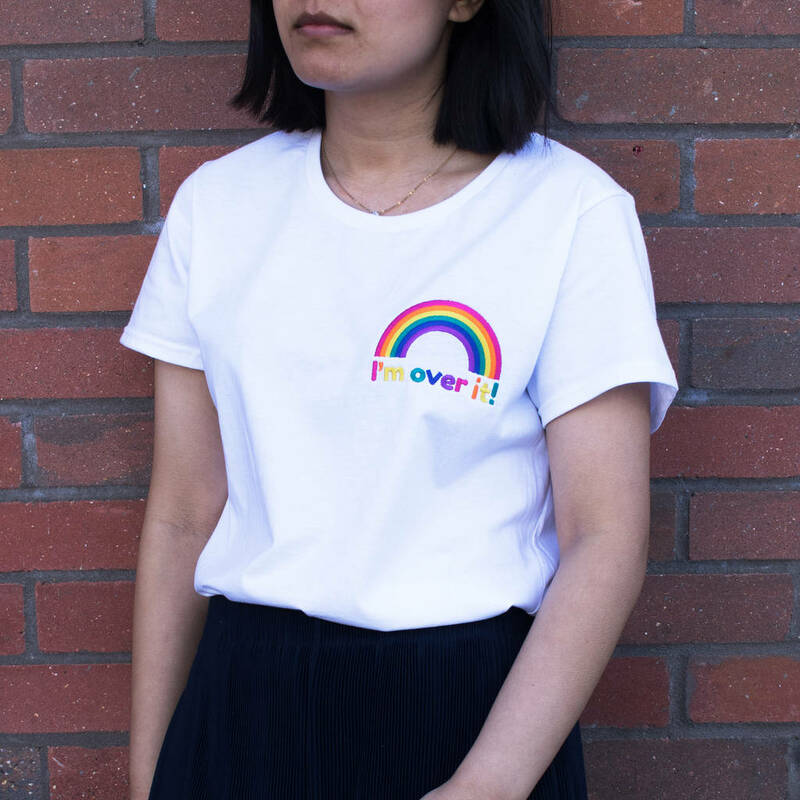 Chase the rainbow and channel laid-back 70s vibes in this slogan tee with its gorgeous colourful rainbow embroidery. It’s an on-trend addition to your own wardrobe and the perfect gift for best friends, teens and family. This product is dispatched to you by Batch1.